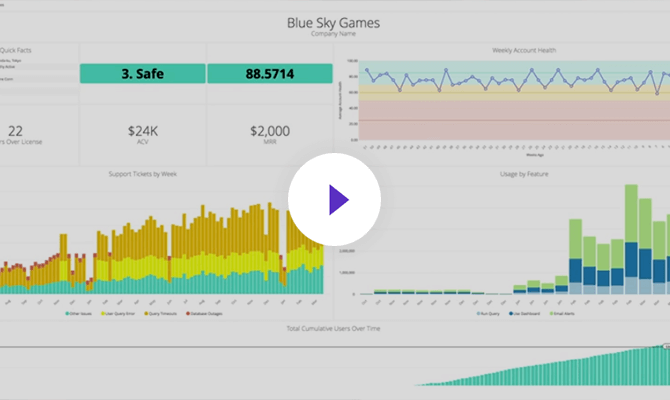 Looker has harnessed the power of SQL to create a uniquely powerful data analytics platform that helps companies get real value from their data. Now anyone can ask sophisticated questions of the data using familiar business terms. Data analysts get knowledge of the data out of their heads and into LookML, Looker’s simple yet powerful data modeling language. Define business metrics (e.g. lifetime customer value, conversion rate) and explain how tables relate to each other once, and then let Looker write the right SQL to answer any data explorers' questions. 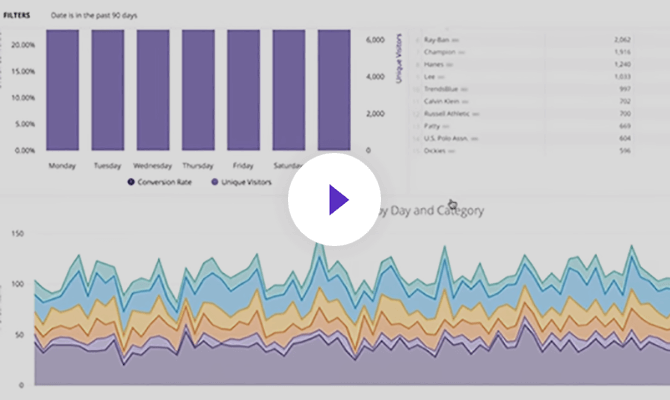 Visualizations help you tell a complete story with data. 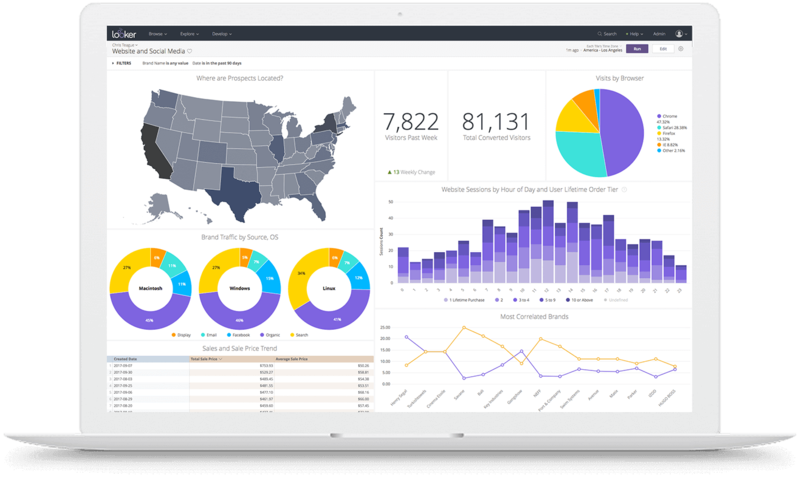 Create easy-to-read reports and beautiful dashboards that also allow users to drill in and keep exploring. 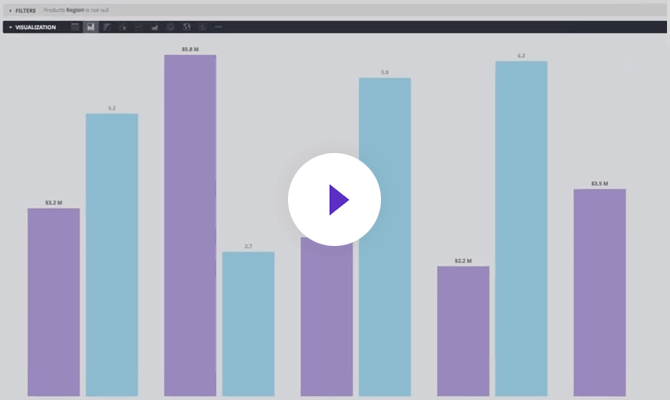 Easily share data-rich visualizations anytime--from any device. Today’s databases query massive amounts of data with great ease. Because Looker connects directly to your database, you are able to truly leverage that power. No data to extract. No software to download. Virtually no limits on what you can explore. When the whole company has reliable, trustworthy answers--and analysts are no longer a bottleneck--everyone can answer their own questions and make more informed, data-driven decisions. Connect Looker to any relational database, like Amazon Redshift or Google BigQuery. Let Looker automatically generate a data model from your schema. Confidently encourage users to dive into the curated environment to answer their own questions with the knowledge that Looker will turn them into accurate, performant SQL.